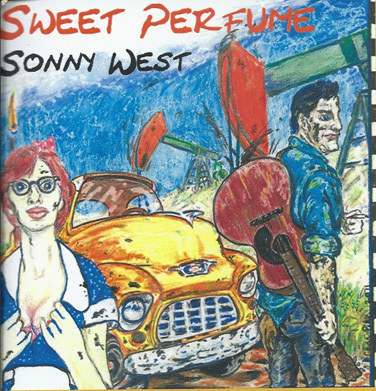 Sonny West's September 15, 2016 induction into the West Texas Walk of Fame. at the Clovis Music Festival - Sept., 2006. Torres wrote and played lead guitar on million-selling instrument "Wheels." Photo: Eric Kluth, Clovis News Journal. Sonny West was born near Lubbock, Texas on the Clovis Highway. His early musical influences were the country/blues artists of the day. At age eighteen he formed a four-piece band for the purpose of recording his compositions. In 1956 he recorded his Rock-ola Ruby b/w Sweet Rockin' Baby at the Norman Petty Studios in Clovis, New Mexico. (This first recording took place in the Lyceum Theater to achieve the desired sound.) 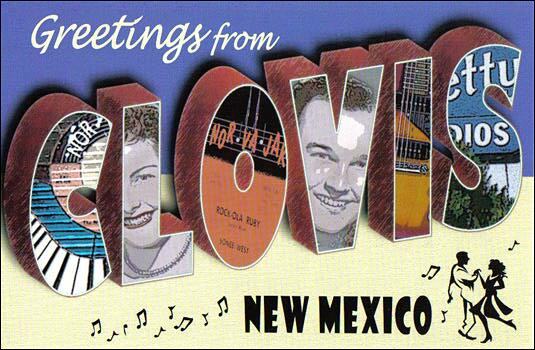 This Nor-Va-Jak label release is a definitive recording, the essence of West Texas rockabilly. In 1957 West wrote and made the first recordings of Oh Boy and Rave On at Petty's studio. These were quickly covered by Buddy Holly and The Crickets and became timeless classics. From 1956 through 1958 he recorded quite a few of his own compositions in Clovis and is one of the creators of the "West Texas Sound". West is one of the original inductees of the Rockabilly Hall of Fame® and the West Texas Musicians Hall of Fame and is the recipient of BMI's million airplays award. His songs have been recorded by scores of artists and are featured in dozens of movies, TV shows and documentaries. West continues to write and record his own material and regularly appears on stage shows and roots music shows performing his well known classics.